Imperium Secundus lies revealed as a heretical folly. Terra has not fallen, though it remains inaccessible. Sanguinius, Guilliman and the Lion El’Johnson, the primarchs of the Triumvirate, must reach Terra at all costs. They seek to defend the Emperor, and to atone for their sins. 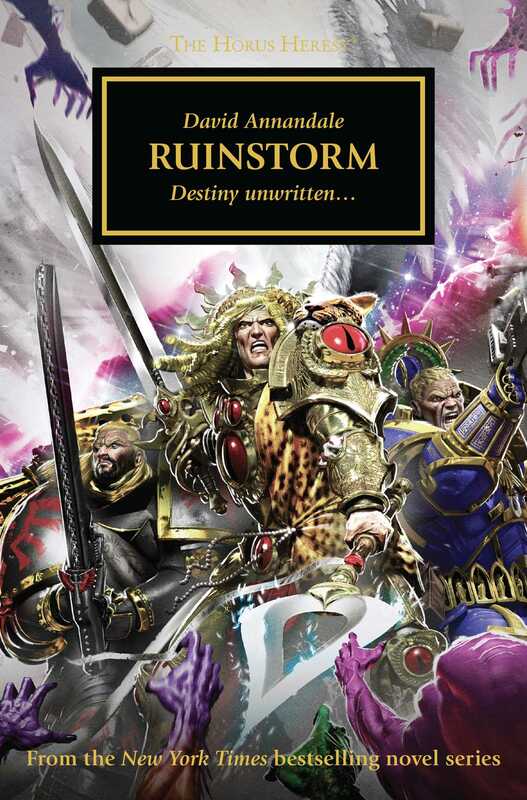 But the Ruinstorm, a galaxy-wide maelstrom of chaos, hides the Throneworld from the primarchs. Now the fleets of three Legions depart Macragge, and the primarchs will stop at nothing to overcome the Ruinstorm. Yet an insidious enemy watches their every move, and plots against the weaknesses of the errant sons of the Emperor. Each has his own inner storm, and each marches towards his own ruin.